Stretching Before Exercise: Good or Bad? My research assignment for my diploma, examining the benefits and drawbacks of stretching before and after exercise, as well as comparing the different stretching methodologies. This report aims to research the most common modalities of stretching, and their effect on performance factors, injury prevention, and delayed onset muscular soreness (DOMS). This research was performed online, with articles retrieved from a large variety of sports, medical, and rehabilitative journals (via PubMed), and a host of other peer reviewed, scientifically recognized and freely available material. Searches were performed using keywords relevant to the topic and abstracts used as source material to inform the large majority of the content within this report. Some modalities of stretching, such as static, had a large variety of material available due to more prevalent use amongst the population, and the number of years established as a pre-exercise preparation technique. It should be noted that each scientific study investigated different aspects of post stretching outcomes, utilised different demographics, study protocols, aims, hypothesis, and in some instances used different types of equipment to verify muscle/joint tension or effect on performance factors. Within the following discussion, the complexities of the stretching debate will be revealed. Overall, it was discovered that most modalities of stretching improved flexibility, however some modalities also have a negative impact on performance factors if carried out prior to exercise or sport. Research on this topic is necessary to help inform both amateurs and professionals who utilise stretching as a part of their exercise program and may find this information useful for consideration of altering current pre or post exercise activities. Initially this report sets out current attitudes toward stretching, followed by supporting evidence for warm-up up prior to exercise. Following this, different stretching modalities will be briefly analysed and compared, and the effects on various performance factors taken into consideration. This report does not cover the effects of rehabilitative stretching or physiotherapeutical approaches to acute or chronic injuries associated with sport or exercise, but rather will focus on stretching as a means of injury and soreness prevention and the effects of stretching on performance factors. The research for this report is conducted by Jason Jarred, for Jane Madison, as part of the required curricula for Fitness Speciality (Stage 2), Research Projects, Randwick College. To ascertain general attitudes toward stretching efficacy a search was performed for the most easily accessible online discussions (‘stretching’ and ‘forum’) using Google. Amongst a host of varying professional and amateur opinions, experienced personal trainers continually support stretching from a position of experience and anecdote1. Many discussion participants neglect to take into account the clinical and scientific research when formulating opinions, and allow anecdotes to act in place of scientific evidence. Fitness professionals have a duty of care for their clients, to both protect them from harm and dispense accurate information. A higher level of scientific appreciation and critical thinking encouraged during collegiate education may be helpful in order to meet these responsibilities and to properly fulfill the duty of care. While there is plenty of information available via sources such as YouTube, fitness/bodybuilding forums, and Google searches, there also appears plenty of misleading and partial information on the pros and cons of stretching and why it is considered to be an important part of an exercise program. The two top results for YouTube were both quite informative videos. The first clip demonstrates a basic static stretching routine for the whole body5, while guiding the viewer on static stretching methodology. The second video presents some detail on PNF stretching24 and is more comprehensive than the first clip. In neither of these videos are the following points discussed: the science, evidence, desired objective, why it should be performed, or when it should be performed. With that said, some admission of uncertainty around efficacy was provided by the first clip, that stretching may “help increase flexibility and ‘perhaps’ prevent injury”. After assessment of the above sources, attitudes toward stretching appear to remain, for the most part, unchanged amongst some amateur exercise enthusiast and professionals. With these factors in mind we now turn toward the reasoning and logic behind the implementation of a stretching program. The argument for stretching hinges on an unstated correlation; warm-up prepares the muscles for stretching, stretching increases flexibility, flexibility improves ROM (Range of Motion), ROM helps prevent injury and muscular soreness. This is a multi-claim assumption, each stage of which needs to be analysed to ascertain the evidence supporting and negating each link of the chain. Should even a single link be supported by doubtful or lacking evidence, it serves to further call into question the efficacy of stretching and its relationship with muscular soreness and injury. Pre exercise warm-up should be analysed prior to analysis of the benefits or deficits of stretching. It has been found that warm-up and static stretching both, individually, significantly increase flexibility of muscle prior to exercise17. In addition, warm-up prior to exercise helps to decrease risk of injury by increasing elasticity of the muscle21. The referenced studies appear to support the common knowledge that warm-up prior to exercise is beneficial to flexibility, particularly if it is specific to the activity being engaged in. Several types of stretches were taken into consideration: static, dynamic, ballistic, and proprioceptive neuromuscular facilitation (PNF). Of these stretches, the most scientifically researched appears to be static, while the least researched is ballistic. Of particular interest is static stretching due to widespread use and its acceptance as a pre exercise warm-up or post exercise cool-down. Most scientific studies focus on a single one or two of these stretching modalities, and the factors measured are often a mixture of several of the following; anaerobic capacity, agility, strength, speed, power, endurance, soreness prevention, ROM and flexibility. 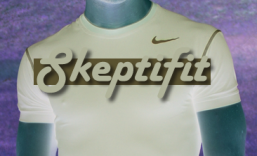 Definitions for factors measured and what defines a particular type of stretch is considered important, especially in light of contradictions and differences in previous research being possibly due to conflicting definitions of ‘warm-up’ and ‘stretching’30. A list of the definitions used for each stretch modality discussed herein is therefore included in Appendix B for reference. With semantic definitions, types of stretches and performance factors taken into consideration, the different stretching modalities will now be analysed in brief and cross referenced with available research. Of the stretching modalities that exist, the most well studied, discussed and utilised appears to be static stretching. Several studies are suggestive of a positive correlation between static stretching and improved flexibility and range of motion (32, 6, 25, 17, 31). In one study, there appears a negative correlation between static stretching and ‘power’22, while three more studies suggest no positive or negative correlation (no effect) between static stretching and the following performance factors: anaerobic capacity, agility, endurance, soreness prevention10, strength, speed32, and range of motion6. Static stretching appears to have varying degrees of effects depending on the exercise participated in, suggesting its use may not be recommended prior to consideration of performance factors. Overall, dynamic stretching comes out quite favorably. Several studies identify positive outcomes between dynamic stretching and the following performance factors: anaerobic capacity, agility, strength, endurance10 and power7,12. Other studies which support dynamic stretching (see Jamtvedt et al 2009) appear to have been embraced by some corners of the media as a replacement for static stretching altogether19. While dynamic has certainly been demonstrated to have some superior outcomes over static, the implication that it should altogether replace static is questionable, particularly when taking into consideration the contradictory results of dynamic stretching on flexibility17. Again, here we see a modality of stretching whose use should perhaps not be recommended prior to consideration of performance factors, and exercise to be engaged in. Ballistic is generally viewed as a damaging practice if not performed correctly. In one study by Covert et al 2010, the results were surprising given the general consensus. No injuries or complications were associated with static or ballistic, however a greater increase in flexibility was correlated with static over ballistic. This calls into question the validity of using ballistic to increase flexibility, particularly in light of the possible detrimental effect on ‘power’ after ballistic is performed22. PNF is often hailed as the most effective technique for improving ROM and flexibility, with plenty of scientific support for these claims11, 6, 15, 2, 20. In addition, an improvement in running mechanics may result when PNF is performed post-exercise on a regular basis2. PNF may take the form of passive and active. Active utilises a thera-band or another persons assistance, passive is simply performed against gravity. A third category of PNF exists, known as contract relax (CR)PNF16, which is a modification of the original PNF technique. Knowledge of the existence of these subcategories is important, as many scientific studies appear not to clarify which type of PNF was tested, and those that do make the distinction have discovered considerable differences between the subcategories of PNF stretching. For example, one PNF stretching study6 correlates PNF active with greater results in knee ROM than does PNF passive. An interesting discovery from several studies is that increase in ROM and flexibility was not due to lengthening of muscle fibers or joint tendons, rather perception of stretch tolerance in the individual15,26, 16 – a factor possibly dependent on psychological and physiological factors beyond simple muscular tension. Stretching improves acute and chronic flexibility and ROM8, though some modalities are more effective at increasing flexibility/ROM than are others6. In addition, depending on the activity participated in post warm-up and type of stretching modality used, either a negative or positive effect on performance factors may result in addition to effects on flexibility and ROM. 3) without definitions provided within the studies themselves, it would be difficult to determine otherwise. The evidence seems conclusive in regard to stretching improving flexibility/ROM6, 31, 32, however the link between flexibility/ROM and injury prevention and muscular soreness prevention now needs to be established. Delayed onset muscular soreness (DOMS) is often given as a reason to incorporate a stretching routine into the exercise program, either before or after exercise. Both pre-exercise and post-exercise stretching do not significantly decrease muscular soreness after exercise27, 9, 13, 4, however pre-exercise stretching may reduce sensations of ‘perceived’ soreness and stiffness after exercise18. 3) the use of the terminology ‘perceived soreness’ within the abstract raises the question of placebo effect and how this may have been influenced by lack of blinding protocols. While these studies appear contradictory, and given the weaknesses in the above study, it seems reasonable to conclude that stretching does not have a significant effect on DOMS, particularly when taking into account that both static and ballistic stretching may actually increase DOMS28, rather than prevent it. Perhaps the most important benefit claimed is the potential to decrease risk of injury. Shoulder injury has been associated with a limited range of motion in baseball players23, however some research suggests that stretching before or after exercise does not significantly decrease risk of injury13, although it may decrease ‘bothersome soreness’. 3) stretching modality utilised and effect on both ROM and exercise specific performance factors. It should also be noted that while some research suggests no significant correlation between stretching and ‘all-injury’ prevention, there were correlations between stretching, reduction of musculotendinous injuries, and ‘bothersome soreness’27, suggesting that stretching does effect perception of bodily soreness. There exist several stretching modalities as discussed in this report, and within each there are variations upon variations. Performance factors for the exercise to be participated in should be taken into consideration in the first instance, and a stretching modality selected based on the effect revealed within scientific literature. For amateurs engaging in exercise, the best course of action seems to be abstaining from stretching prior to exercise, but engaging in static, dynamic or PNF stretching post exercise (or on non exercise days) on a semi regular basis. The potential for over-flexibility to in fact increase the risk of injury should be taken into account, and the stretching modality applied in a thoughtful manner. See Table 1 for a summary of stretching modalities Vs performance factors. 20. Marchese R, Hill A, 2005, The Essential Guide to Fitness, 1st Edition, Prentice Hall, Frenchs Forest NSW. Active: Range of motion is increased through voluntary contraction. All-injury: All injuries associated with sporting (excluding musculotendinous injuries). Ballistic: Bouncing beyond the usual ROM. Dynamic: Performed whilst moving. The ROM is not exceeded (as in static stretching). Passive: range of motion is increased through external assistance. PNF: A mix of contracting the muscle, relaxing the muscle, and moving further into the stretch as the muscle relaxes.